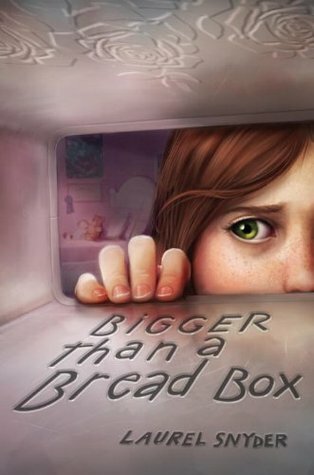 KidLit Cares: School Skype Gift Bag from Author Laurel Snyder! I think this is an amazing thing you are doing. I would like to bid Seventy-five dollars ($75.00). I love this book and I talked with a teacher today who would be thrilled to Skype with Laurel. Our scheduled return to school is Friday, November 2…hopefully. Superstorm Sandy has left devastation in the small Warren County, NJ district where I am employed as a librarian/media specialist. I think this opportunity to “win” a Skype visit from Laurel Snyder as well as ten signed books will be a real pick-me-up for our kids. I would like to bid $100.00 in the hopes of winning this auction. I appreciate the opportunity to not only help other victims of Sandy but the kids at GMMS. Thanks and what a great opportunity! This auction is now closed. Lisa – you are the high bidder, so please use this link to make a donation in the amount of your high bid to the Red Cross Disaster Relief Fund. After you have made your donation, please email me at the following address: k m e s s n e r at kate messner dot com (all lower case, no spaces) with your Red Cross receipt attached. On Monday, I’ll provide you with the information you’ll need to get in touch with the donor of your item and carry out the terms of the auction.